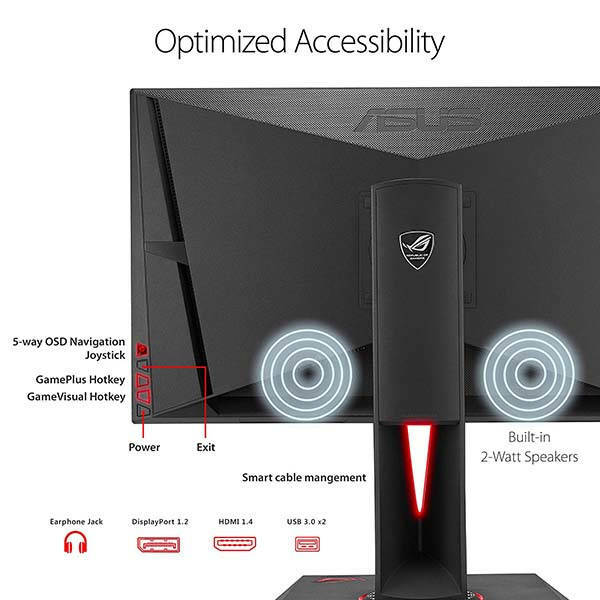 Using NVIDIA Sync technology Asus ROG Swift 27-inch WQHD gaming monitor lets you enjoy more amazing gaming graphics. Need more features? Let’s have a look. ASUS ROG Swift PG279QZ is a high-performance gaming monitor that measures 24.5 x 9.4 x 21.8 inches and weighs 15.5 lbs. As we can see from the images, the gaming display shows off a sleek, narrow-bezel design, and the geometry-inspored detailing brings more modern aesthetics to the monitor. Meanwhile, the rugged and adjustable stand stably keeps the monitor standing on your desk. 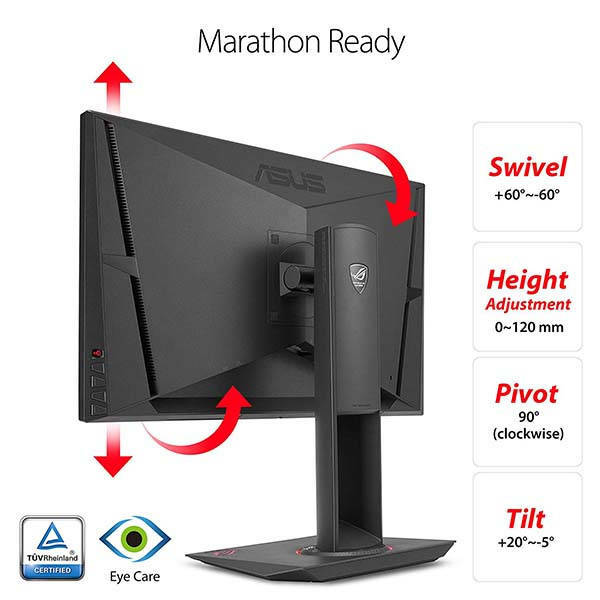 The 27-inch gaming monitor features 2560 x 1440 resolution and the 165Hz refresh rate effectively decimates lag and motion blur in order to get better graphic performamce in those most intense racing and FPS video games. Furthermore, using NVIDIA G-Sync technology, the display syncs its fresh rate to the GPU in your GeForce GTX-powered PC, eliminating screen tearing and minimizing display shutter and input tag. Moreover, integrated ASUS Ultra Low Blue Light filters allows it to protect your eyes from harmful blue light. The adjustable stand features full height, tilt, swivel and pivot adjustments to fit for different preferences and desks. In addition, it also features built-in 2-watt speakers, earphone jack, two USB 3.0 ports, HDMI and DisplayPort. 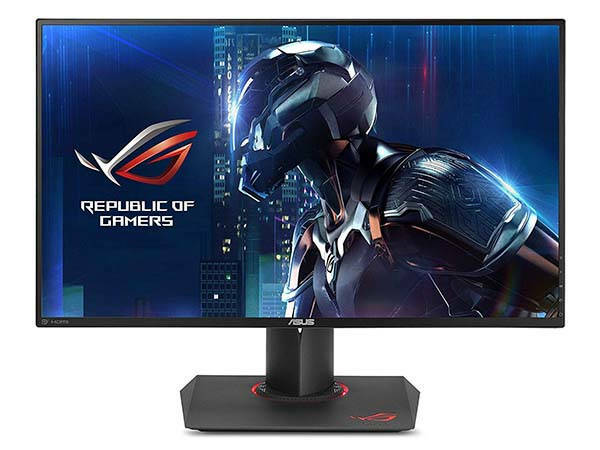 ASUS ROG Swift PG279QZ gaming monitor is priced at $466.38 USD. If you’re interested, jump to the product page for its more details.